Rexall Pharma Plus has a contest for Valentine's Day! 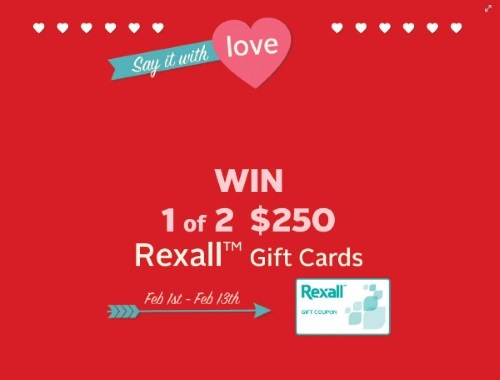 Enter to win 1 of 2 $250 Rexall gift cards. This Contest is open only to residents of Canada in the provinces of Ontario, Manitoba, Alberta, Saskatchewan & British Columbia. Contest closes Monday, February 13, 2017.